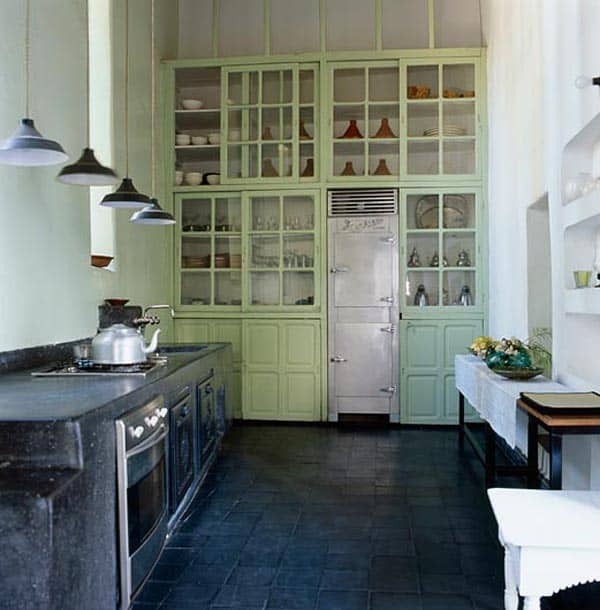 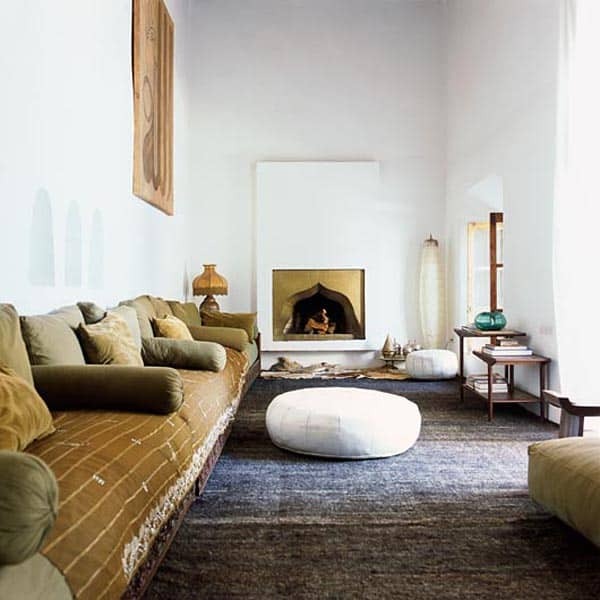 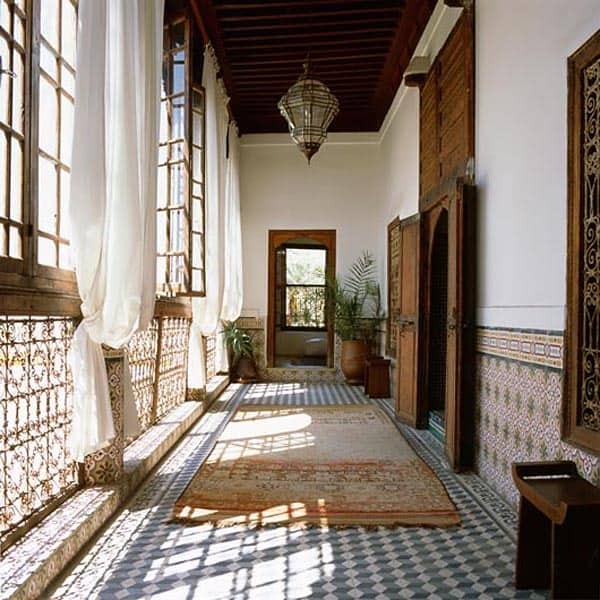 One of the four biggest riads in Marrakech, Morocco, this riad was once the residence of the Riyad Charai family and the property of the Private Secretary to the famous Pasha Glaoui. 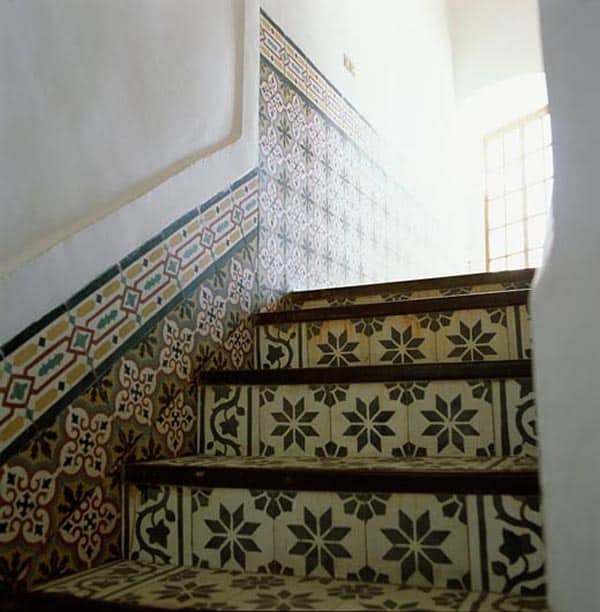 Hidden behind a weather-beaten door in the narrow streets of Bab Tharhzout quarter, this lovely riad boasts a larger than average floor area, giving it a spacious and airy feel. 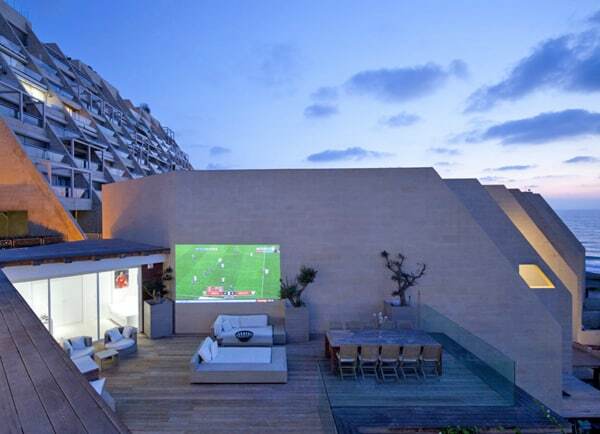 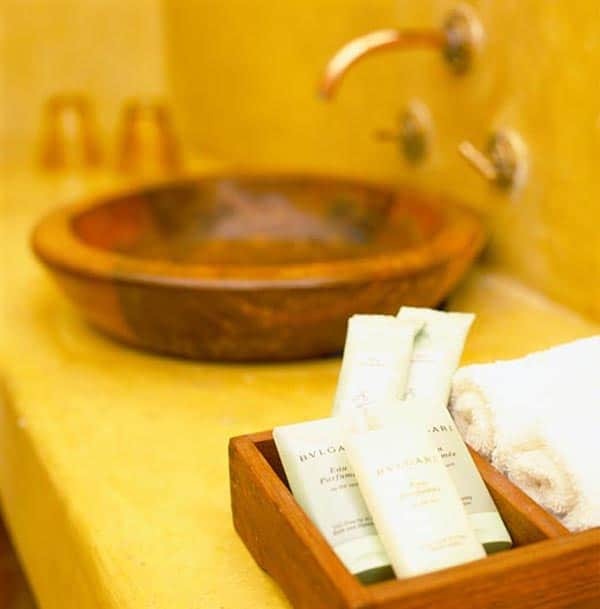 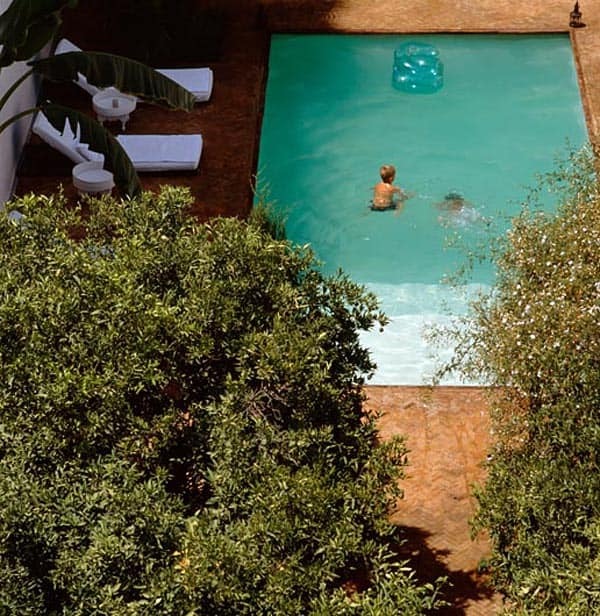 Riad Charai offers nine suites, each with their own fireplace, situated around the patio and pool area. 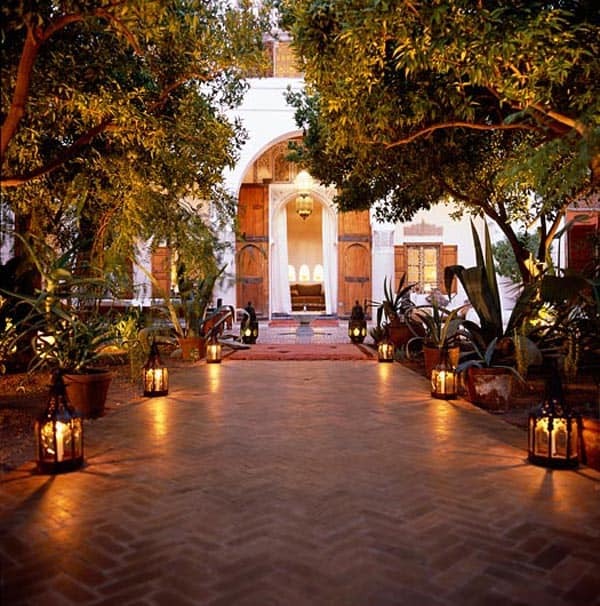 The large inner courtyard is laid with beijamatte tiles and planted with fragrant orange trees, palms, bamboo and cacti and features the traditional fountain. 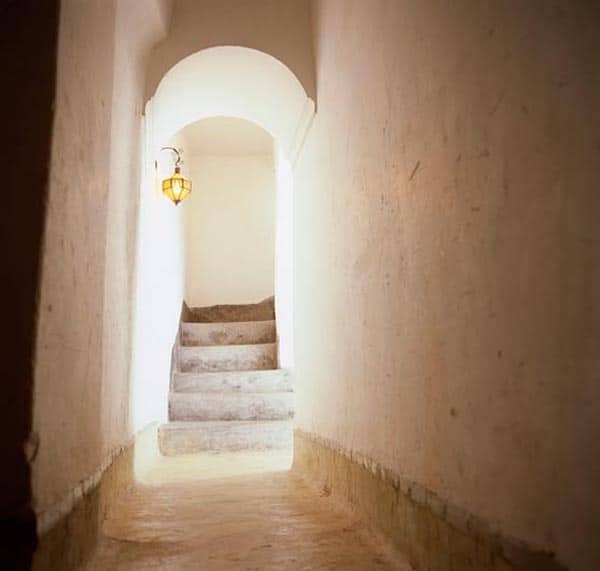 Behind the labyrinth of rooms there is a staircase leading to two large roof terraces offering magnificent views over Marrakech and the Atlas mountains. 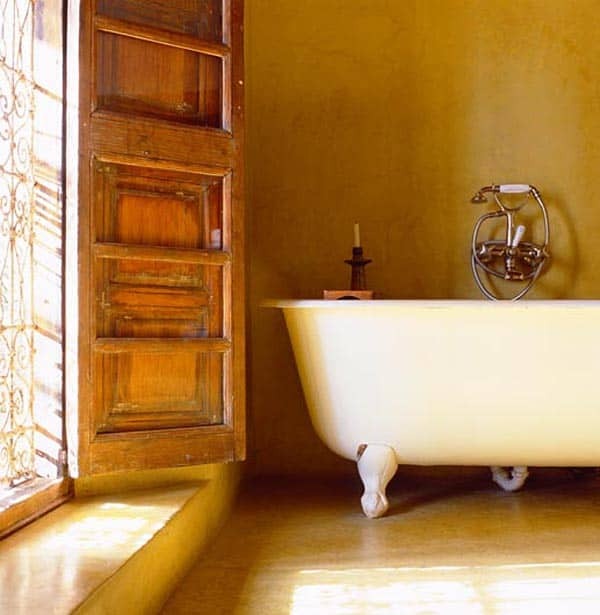 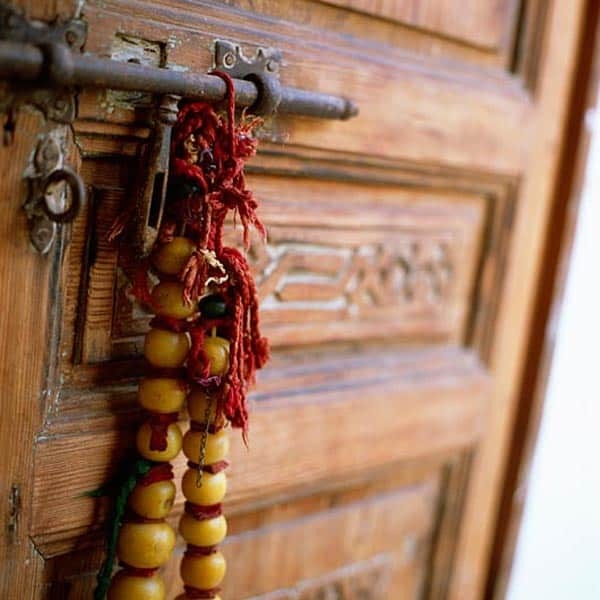 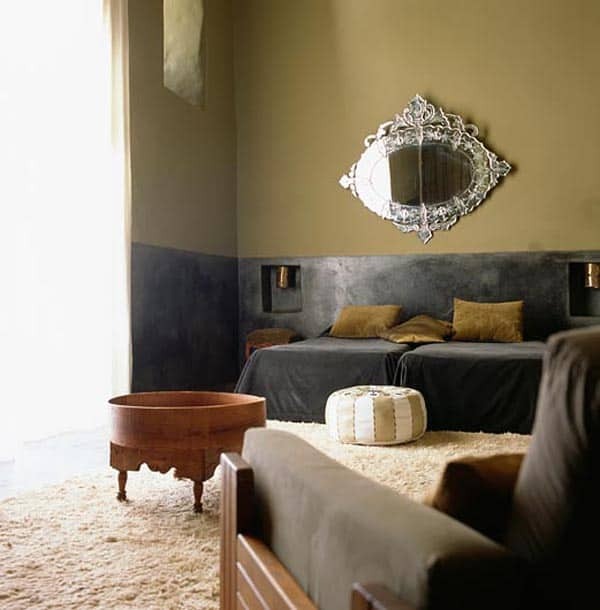 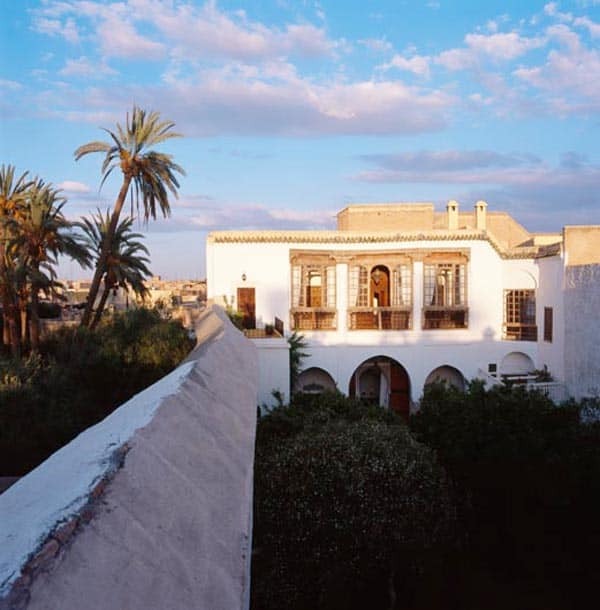 The riad has been beautifully and elegantly restored by Rocco Forte designer, Carine Mavrolen, in true ‘Nouveaux Moroccan’ style using traditional local materials and craftsmanship, but with a contemporary and minimalist twist that sets it apart. 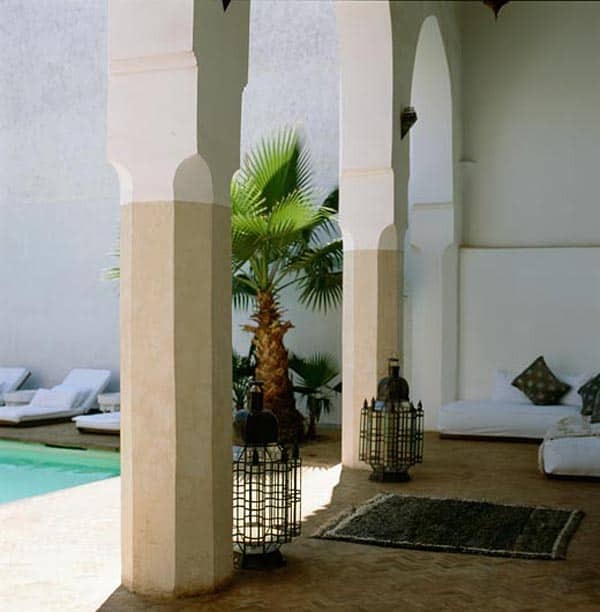 Part of the furniture is original Art Deco furniture from the famous Mamounia hotel, including the bar stools from the ‘Churchill bar’. 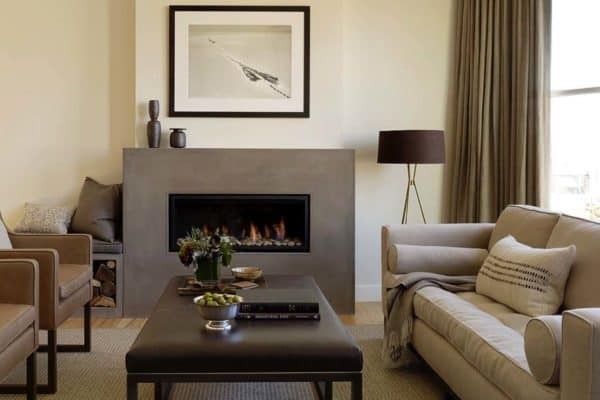 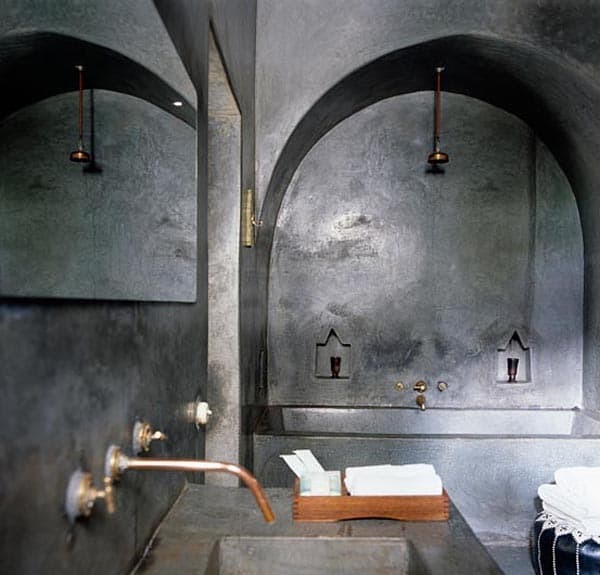 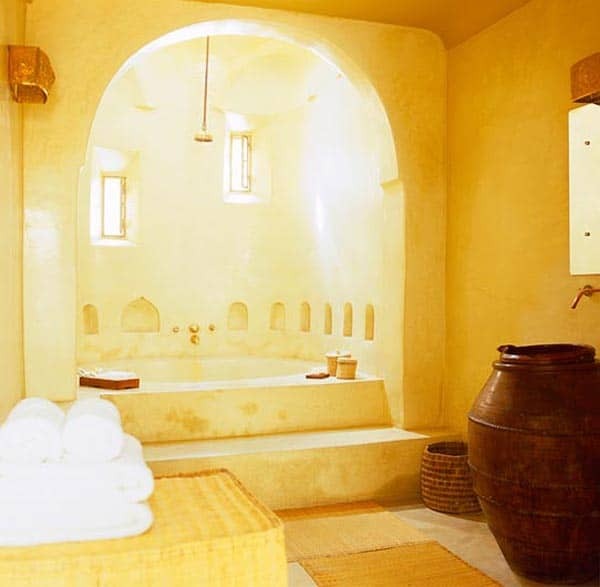 The riad facilities include a spacious swimming pool, lounge with fireplace, dining area set around a fireplace and a spa with a hammam, massage room, and another fireplace. 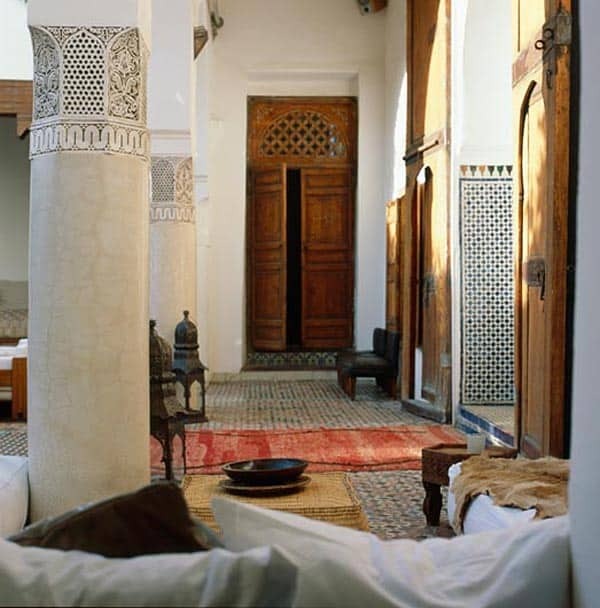 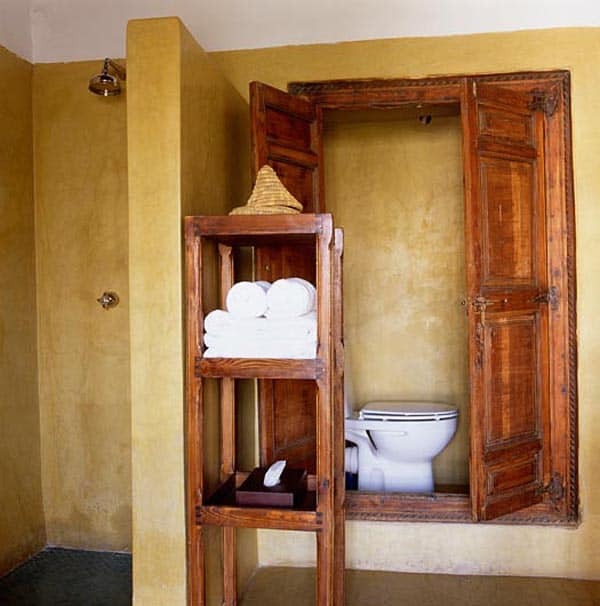 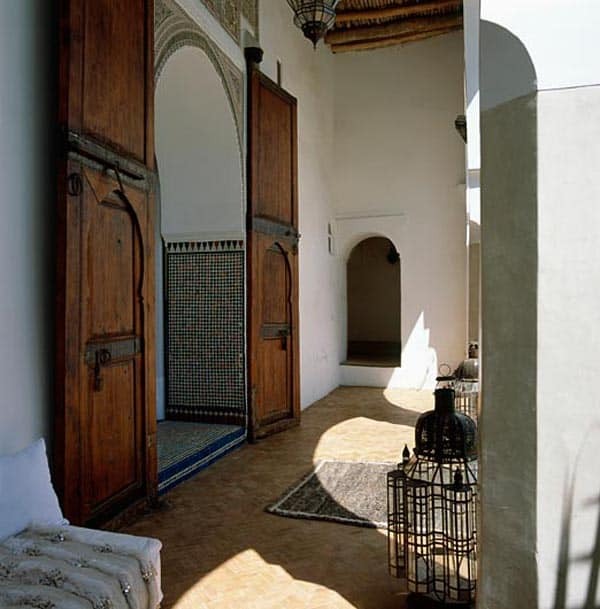 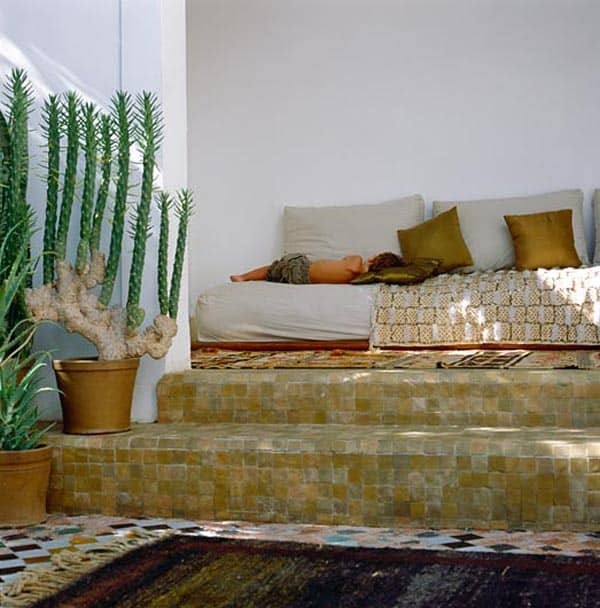 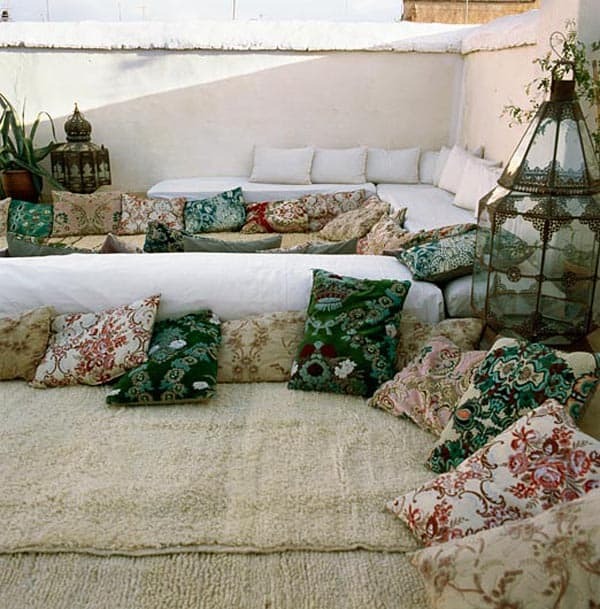 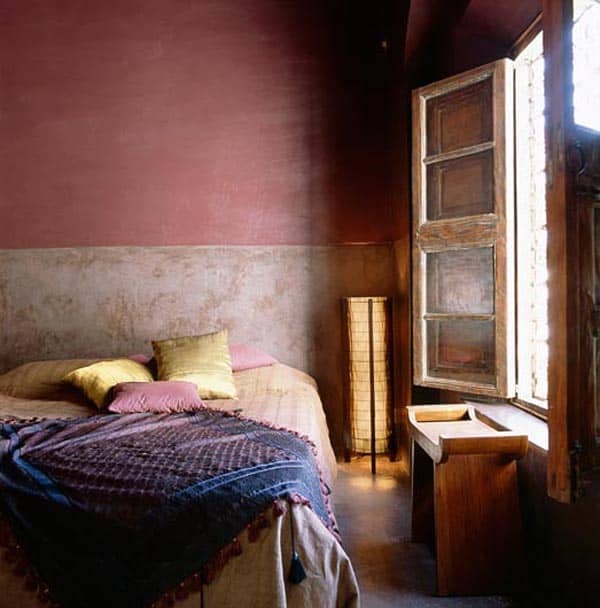 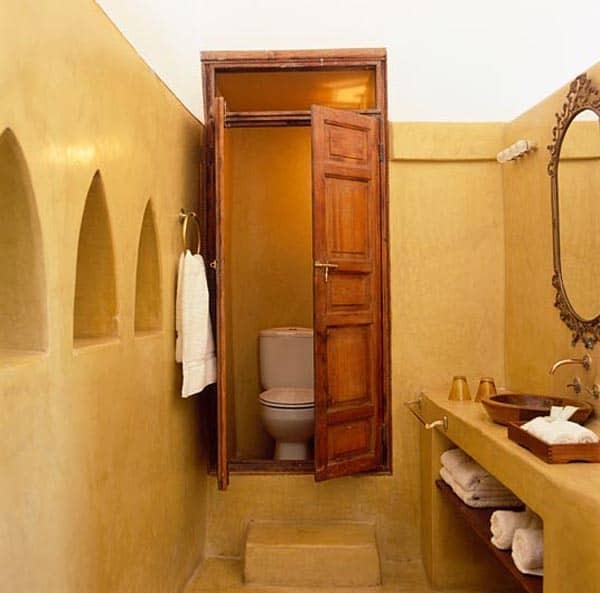 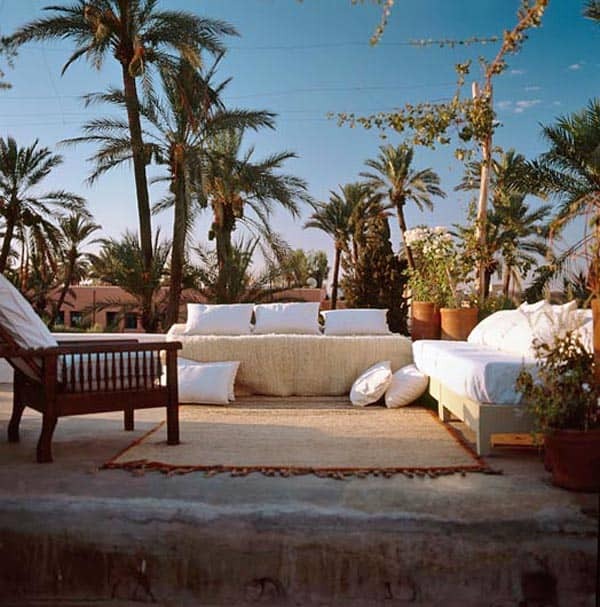 To stay at the fabulous Riad Charai, rates range from $166 – $408 per night, from here.